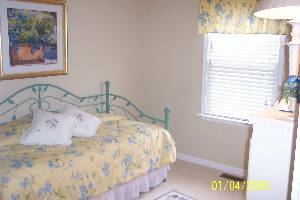 This 1500 square foot first floor condo boasts nine foot ceilings, has a Victorian flair and is professionally decorated in beachy decor. The full kitchen package includes large and small appliances and is fully stocked with a wide variety of cooking utencils. Breakfast can be enjoyed on a charming front porch overlooking a quiet tree lined street or around a dining table looking out through a bay window. 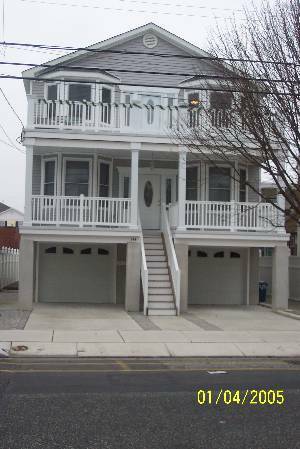 Located only two blocks from the Convention Center and boardwalk makes this a convenient and attractive place to stay during any season of the year. 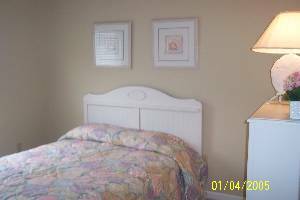 This condo sports four comfortably sized bedrooms and two full baths which makes it a relaxing retreat after a long day at the beach. 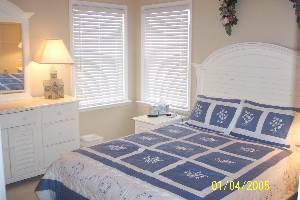 There is a private enclosed hot and cold outdoor shower and gas grill within a privacy fenced back yard. There is ample parking for 2-3 cars in the garage and one in the driveway. Washer and dryer are also included for your convenience. There are board, video games and a selection of movies for kids and adults. 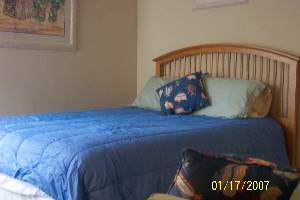 We supply the pillows, blankets and comforters but please bring your sheets and towels. No smoking or pets allowed. Boats, wave runners and trailers are not permitted on the property. 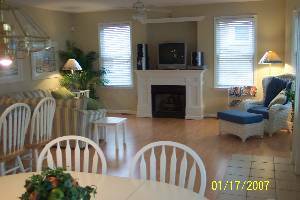 1500 Square foot 1st floor condo. Parking for 2-3 cars inside the garage and 1 in the driveway. Queen size bed, dresser, full master bath and 32' TV. Queen size bed, dresser and 22' TV. Trundle bed with 2 twin size matresses, dresser and 22' TV. 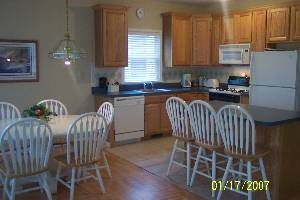 Kitchen with full large and small appliance package and dining area for 9. Deposit: Half of the reservation deposit is due at time of booking and the balance is due 30 days prior to check in. Cancellations and Refunds: If you cancel your reservation on or before 30 days prior to your arrival date we will refund your reservation deposit in full. If you cancel after 30 days we will refund the security deposit, but we reserve the right to keep the rental amount if we are unable to rebook the property.